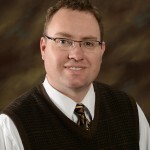 Brent J. Schmidt teaches at Brigham Young University-Idaho in the Religious Education Department. He previously taught in the BYU-I Humanities and Philosophy Department and at Weber State University (ancient history), BYU Salt Lake Center (New Testament), and Salt Lake Commnity College (world civilizations). He earned degrees in history and classics from the University of Utah and a PhD in classics from the University of Colorado—Boulder. He is interested in Patristics, ancient and modern Utopian communities, Greco-Roman history, and New Testament Studies. He received the Hugh Nibley Fellowship (2003-2007) from the Neal A. Maxwell Institute for Religious Scholarship. He is a BYU Studies Research Fellow (2011-present). He enjoys travelling and leading tours to the Mediterranean region, gardening, and studying ancient and modern languages. He presented at BYU Education Week in 2015 on the topic of grace (charis) in the ancient world and its use in the scriptures. He and his wife, Judith, are the parents of one son. Relational Grace: The Reciprocal and Binding Covenant of Charis (BYU Studies: 2015). Utopia and Community in the Ancient World: The Ancient Utopian Societies of Pythagoras, the Essenes, Pachomius and Late Pagan Athens (Edwin Mellen, 2010). “Temple Elements in Ancient Religious Communities,” BYU Studies vol. 50 no. 1 (2011). Review of Adam S. Miller, Speculative Grace: Bruno Latour and Object-Oriented Theology. BYU Studies Quarterly 54, no. 2 (2015): 202-204. “Reading 2 Peter as a Farewell Text” (co-authored with John Welch) pp. 317-335 in The Ministry of Peter the Chief Apostle, edited by Frank F. Judd Jr., Eric D. Huntsman and Shon D. Hopkin 43rd Annual BYU Sidney B. Sperry Symposium (Provo: RSC, 2014).